"Venus and Jupiter became very close ... and they would have appeared to be one bright beacon of light. 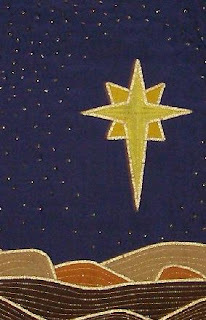 "We are not saying this was definitely the Christmas star - but it is the strongest explanation for it of any I have seen so far. "There's no other explanation that so closely matches the facts we have from the time. Now it seems to me that there were more than a few good astronomers in the Mideast in and around that time and more than a few literate civilizations. But is there any other account of this strange new “star” in the sky? Wouldn’t the supposedly sky-savvy Magi have already known about planetary conjunctions? And why believe the Magi were even there and were not some later-added embellishment to the tale? "This is not an attempt to decry religion. It's really backing it up as it shows there really was a bright object appearing in the East at the right time. "Often when we mix science with religion in this kind of forum, it can upset people. In this case, I think this could serve to reinforce people's faith." Well, if you need a naturalistic explanation of what is supposed to be a supernatural event, it doesn’t sound like much of a faith to begin with. First, if you followed a planet by night, wouldn’t you walk in a circle? Second, to those who insist that a day means a day, when reading Genesis; wouldn’t you hold that a star means a star, and not some planet? Thirdly, if it was just a couple of planets doing a normal orbit then it’s not very miraculous. I would think the path would be an "s" curve (or more accurately an scallop shaped path) heading generally toward which ever hemisphere the object was in.